Robin Tweter joined our team bringing 16 years of experience in the Barista world, having owned & operated her own espresso business. She will make you a cup of "Love"and leave you with a smile! 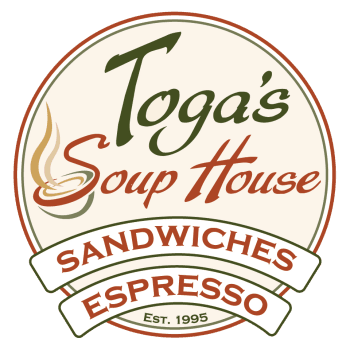 Toga's Soup House is proud to feature Katrina Leslie as part of our team. Katrina has baked professionally for over 17 years. If you have any special baking requests for a event please feel free to contact us.